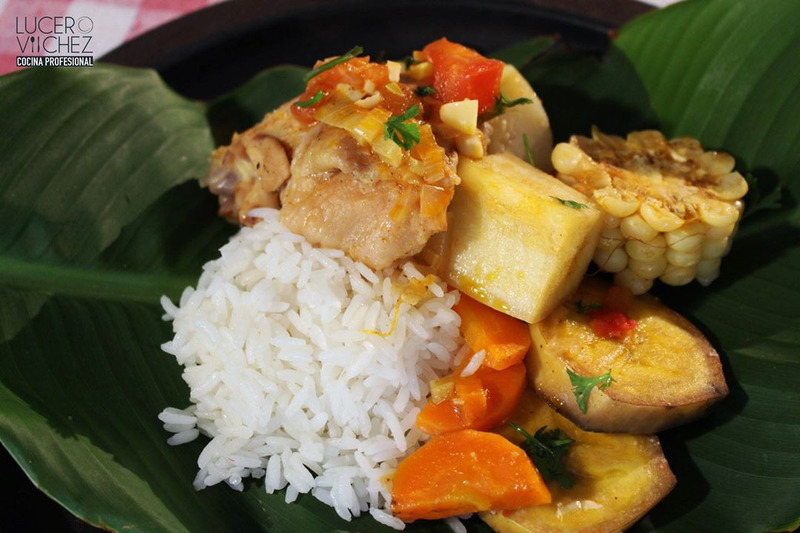 In September 2018, the Bocas del Toro municipal government prohibited the use of styrofoam polystyrene containers, plastic utensils and straws in all restaurants under the Acuerdo 023 del 18 de julio de 2018. 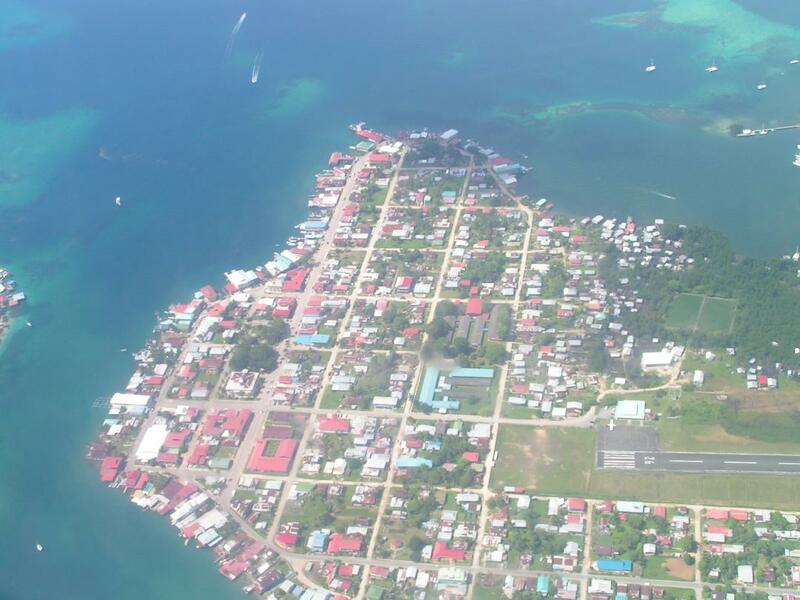 Bocas del Toro is the first community in Panama to take this progressive step. This law came into effect just a few months after the plastic shopping bag ban in April 2018. 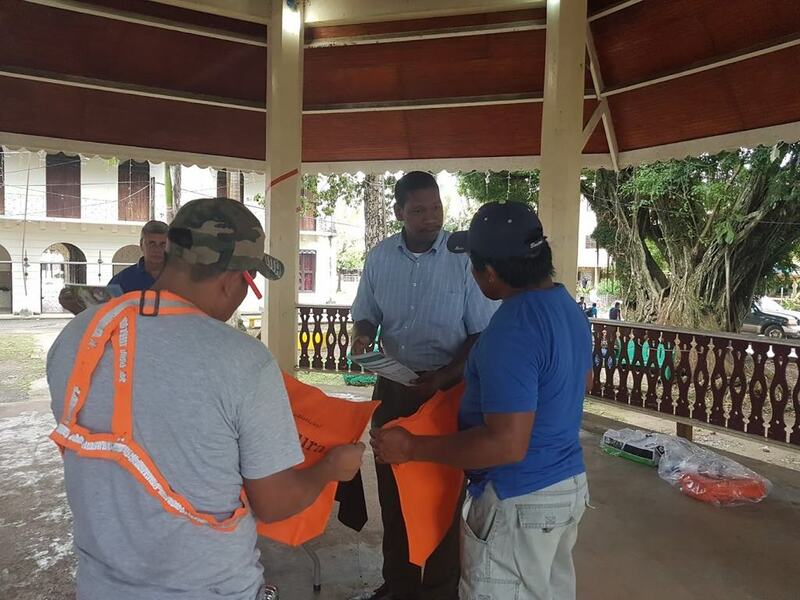 Bocas residents have supported the movement toward taking better care of the environment. While the plastic bag ban began immediately, the September styrofoam ban has reared a challenging head regarding implementation. In November, I sat in a regularly frequented, cafeteria-style restaurant in Bocas Town where I witnessed one of the island’s largest supermarkets delivering styrofoam to-go boxes. This is the very same packaging that had been banned on September 1st. I brought the law to the attention of the owners of each establishment. The reaction of the restaurant was one of indifference but the supermarket felt a bit more tense about the topic as they were well aware that the restaurant has been banned from its use. 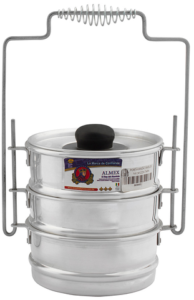 The disconnect here is that the law does not prohibit supermarkets from selling the one-use packaging and utensils that are banned in restaurants. It is notable here to see the plastic bag ban prohibiting the distribution at the supermarket level and, in practice, was very effective; unlike the styrofoam law. So after I was quick to judge these two businesses, I began to notice other enterprises, smaller and not so small, who were also not exactly 100% abiding by the September decree. Alejandro Jonah in Parque Simon Bolivar (Isla Colon) during the outreach education program. Many steps were taken to prepare the community for the plastic bag ban of April 2018. Regardless of the environmentally conscious level at which a business wishes to run, the reality is that the market will be the first to determine its success. According to a survey from a sample of Bocas supermarkets, one styrofoam container costs 6 cents as opposed to the 38 cents that a cardboard container costs. This leads to a 533% increase in the material costs of these beloved neighborhood eateries. “Pass it onto the consumer!,” some say. This seems like a logical solution as an additional $0.50 covers the cost of the cardboard container with a small surplus. But the question remains. If the price raises by 50 cents, will the same customers frequent the establishment? What if they are able to visit a competitor and take their food to go in a styrofoam container free of charge? One solution could be to start an ‘environmental oligarchy’ of sorts, where the restaurants in the area organize together making the surcharge an industry standard. Furthermore, if all of the restaurants ordered this biodegradable packaging, the increase in demand would, in theory, cause prices to drop as a result of the suppliers ability to buy a larger volume. I was disappointed to see the sluggish inception of the styrofoam ban after covering it in September. Alejandro Jonah also felt a bit troubled about the situation so we met to discuss the lack of reception to the newest plastic prohibition. Mr. Jonah is an Isla Colon-native that very much cares about waste reduction on the island. He has been on every committee which pushes for these types of changes. He currently holds the position of ‘Municipal Administrator’ and is in charge of enforcing the sanctions on restaurants which violate these laws. During the plastic bag ban, Jonah only had to give out a few verbal and written warnings to grocery stores and individuals not complying. However, after seeing the amount of single-use plastics used during the fiestas patrias celebrations, he didn’t know where to begin with enforcement. Jonah and I exchanged ideas on what could inspire the community to cease using styrofoam and plastic at meal time. More education and publicity about the facts are the practical places to start. He admitted that the plastic bag ban had been launched with a lot more preparation, meetings with merchants and community outreach. Jonah, 45, went on to tell me how it was in the past in a Bocas without mass produced plastics. In the days before polystyrene boxes, everybody was bringing out their portaviandas when they had their meal to-go, which in itself, dining out was not as popular as it is today. Natural solutions were the bijao and banana leaves. Bijao leaves grow the wildest here in our part of the Caribbean. 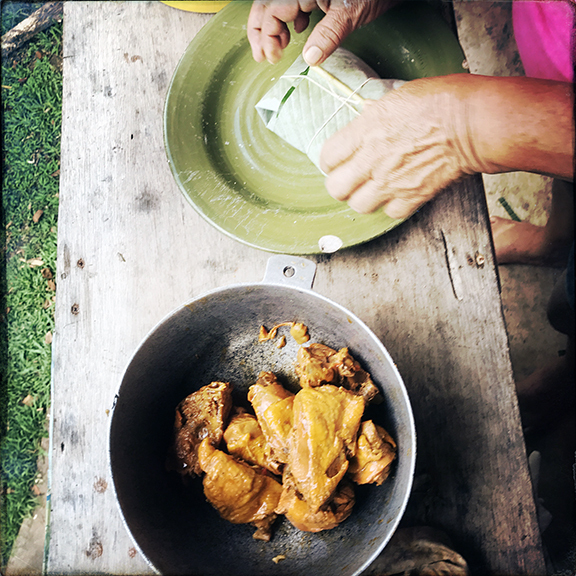 They are popularly used today in a corn-based dish both cooked and served in in the bijao leaves: tamales. 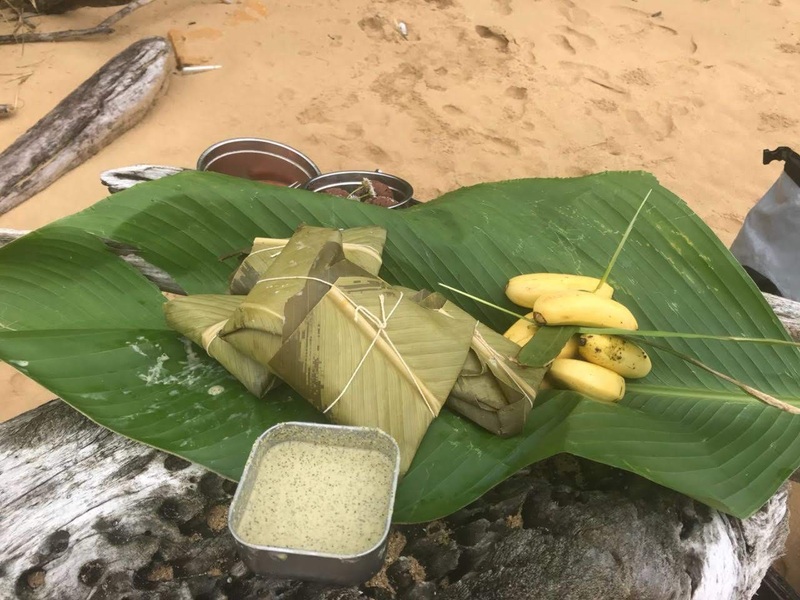 Both green leaves were used in the tradition of packaging “monos,” not referring to monkeys, but as a way to call a regular meal prepared in pots and pans and then wrapped up, safely transported and served in a fresh leaf from the ever accessible jungle. 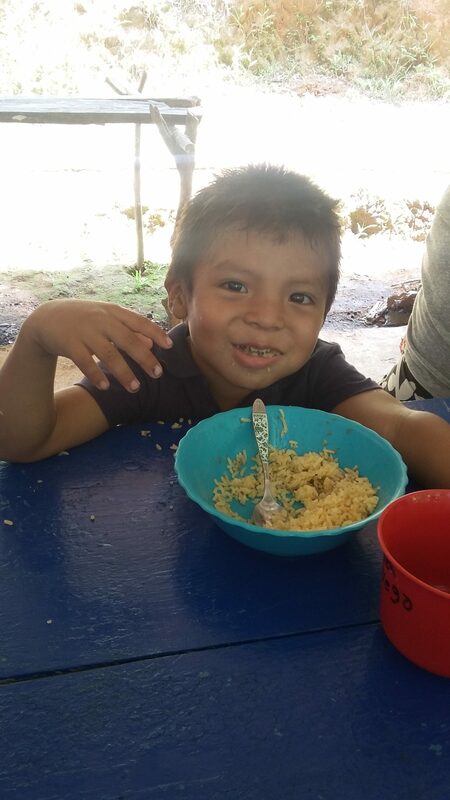 Jonah explained that this is how Bocatoreños would take their lunch for a day’s work in the fields. These were simpler times but the truth is that it was not so long ago. Lovely Mayela (left) & Tracy (right). 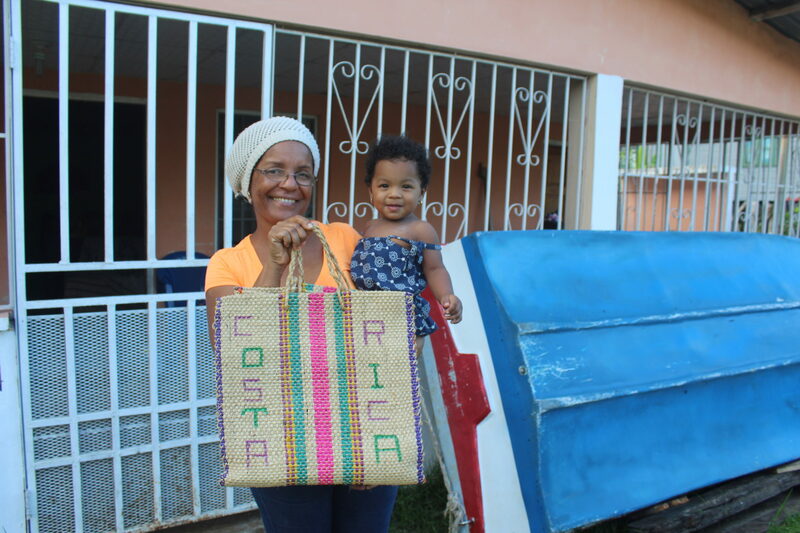 Bridging two Isla Colon generations with their Costa Rica bag. He smiled and went on to talk about the traditions of birthday parties where it customary to get a paper bag full of goodies and everyone drank from cardboard cups sealed with wax. He explained that pretty much everything was disposed in holes dug up in the backyard, as they were natural things that decomposed easily and were healthy for the soil. The more we spoke, it became more and more clear to both of us: reducing, re-using and recycling is not a new thing for Bocas. It was the old school. It was the only school. 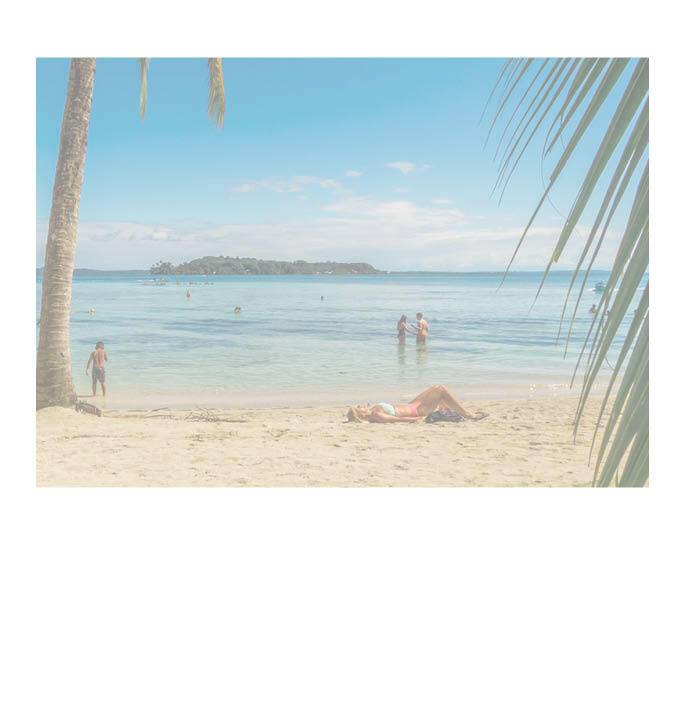 “It’s time to bring Bocas back to the basics,” said a cool and calm Jonah. 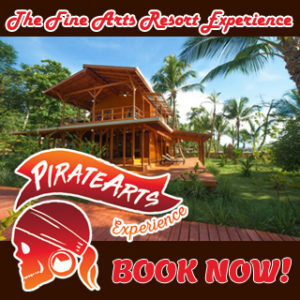 The people of Bocas del Toro have always lived amongst such enchanting natural beauty. They have an inherent connection with nature. The older generations remember a time when the modern conveniences that are now plaguing our land and oceans did not exist. And they certainly did not think they would be making their way into island life. 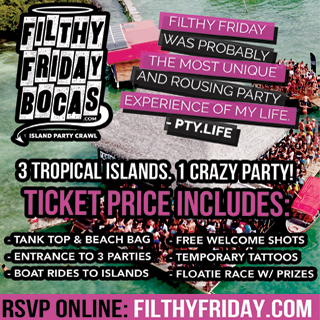 Now that the islands have experienced the downside of plastic conveniences and people like Mr. Jonah and many others (hopefully the younger generation) are inspired to get organized and take island life back to a modern style of its natural beginnings. 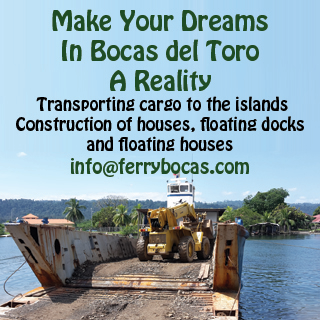 In Bocas del Toro, we do see some of us on our small islands looking back and making big steps forward. Make it happen in your own way. 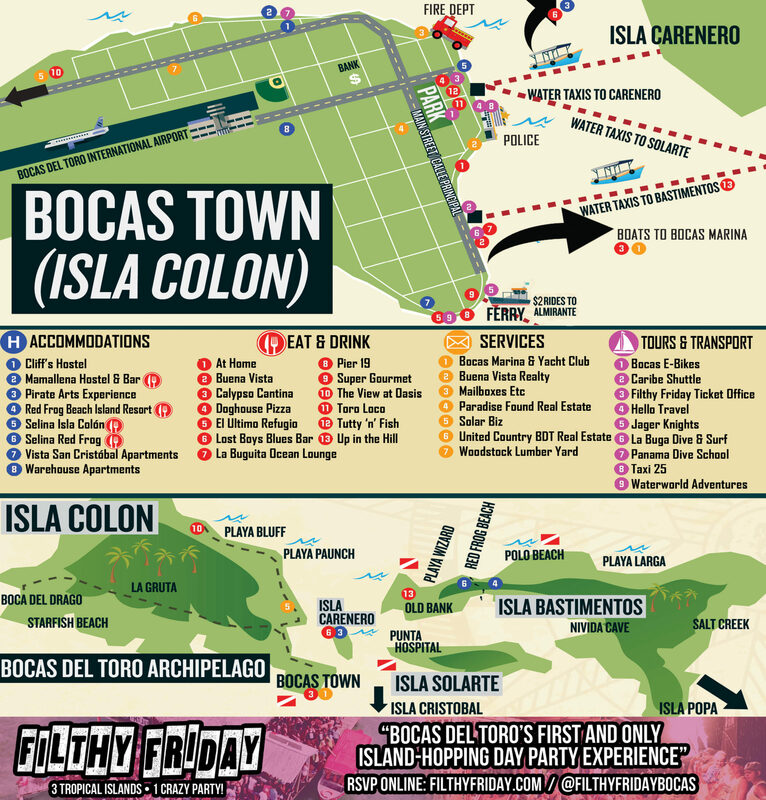 Let us all bring Bocas back to the basics. En septiembre del 2018 el gobierno municipal de Bocas del Toro prohibió el uso de envases de poliestireno extruido (foam), utensilios de plástico y carrizos en los restaurantes bajo el Acuerdo 023 del 18 de julio de 2018. Bocas del Toro es la primera comunidad de Panamá en tomar este paso progresivo. Esta ley se empezó a ejercer solo unos meses después de la prohibición de las bolsas plásticas usadas al hacer compras en abril del 2018. Los residentes de Bocas han apoyado el movimiento de cuidar más al medioambiente. Mientras que la prohibición de bolsas plásticas se dio de inmediato, la prohibición del poliestireno extruido en septiembre ha tenido un poco de dificultades para lograr su implementación. En noviembre, me senté en un restaurante de estilo cafetería que es visitado regularmente en Bocas Town y ahí fui testigo de que uno de que los supermercados más grandes de la isla estaba haciendo una entrega de paquetes desechables de foam, los mismos tipos de empaques que fueron prohibidos el primero de septiembre. Le informé a la ley sobre lo que hacían los dueños de esos negocios. La reacción del restaurante fue de indiferencia pero el supermercado se sentía un poco más tenso por la situación y ellos estaban conscientes de que el restaurante tenía la prohibición de usar esos productos. Lo que sucede es que la ley no le prohíbe a los superados el vender de estos productos desechables de empaque y utensilios que están prohibidos en los restaurantes. Es muy notable aquí que la prohibición de bolsas plásticas prohíbe la distribución al nivel de los supermercados y en práctica fue muy efectiva hasta la ley de prohibición del foam. Así que después de que fui muy rápido al juzgar a estos dos negocios, pude empezar a notar que otras empresas más pequeñas y no tan pequeñas tampoco estaban siguiendo al 100 % el decreto de septiembre. Sin importar el nivel de conciencia ambiental que un negocio decida tener, la realidad es que el mercado va a ser el primero en determinar el éxito del negocio. De acuerdo con una encuesta de una muestra de supermercados de Bocas, un envase de foam cuesta 6 centavos en comparación con los 38 centavos que cuesta un envase de cartón. Esto da lugar a un aumento de 533 % en los costos de materiales de nuestros queridos locales en el vecindario. “¡pásenselo al consumidor!” algunos dicen. Esto parece ser una solución lógica ya que con $0.50 adicional se cubre el costo del envase de cartón y queda un poquito de ganancia. Pero la pregunta permanece. ¿Si el precio aumenta 50 centavos, irán los mismos clientes al negocio? ¿Qué tal si pueden visitar un competidor y pueden llevar su comida para llevar en un envase de foam de manera gratuita? Quizas hay qye crear es una ‘oligarquía ambiental’ en donde los restaurantes del área se organizan juntos haciendo el recargo un estándar de la industria. Es más, si todos los restaurantes ordenarán los empaques biodegradables, el aumento de la demanda hará que el precio baje como resultado de que el proveedor puede comprar un mayor volumen. Estuve decepcionado al ver el lento comienzo de la prohibición después de haber reportado la noticia aquí en el mes de septiembre. Alejandro Jonah también se sentía un poco preocupado por la situación así que reunimos a hablar de la falta de recepción a la nueva prohibición del plástico. El Sr. Jonah es un nativo de Isla Colón que le importa mucho la reducción de desperdicien en la isla. Él ha estado en cada comité que ha sido enfocado en este tipo de cambios. En el momento tiene el puesto de ‘administrador municipal’ y está encargado de poner las sanciones a los restaurantes que violen estas leyes. Durante la prohibición de las bolsas plástica, Jonah solo tuvo que dar algunas advertencias verbales y por escrito a los supermercados e individuos que no estaban cumpliendo, y la situación se resolvió. Sin embargo, después de ver la cantidad de plásticos desechables que fueron usados durante las celebraciones de fiestas patrias, el ya no sabía dónde empezar con la imposición. Jonah, de 45 años, me contó en efecto como era en el pasado en Bocas sin la los plásticos producidos en masa. En los días antes de las cajas de foam, todos traían sus portaviandas al pedir una comida para llevar, que en realidad, el cenar afuera no era tan común como hoy en día. Las soluciones naturales eran las hojas de bijao y banano. Las hojas de bijao crecen de manera silvestre en nuestra parte del Caribe. Popularmente se usan hoy en día en un platillo a base de maíz que cocina y sirve en hojas de bijao: los tamales. Ambas hojas verdes se utilizaban en la tradición de empacar los “monos,” no nos estamos refiriendo al animal, sino a una manera de llamar a un platillo regular preparado en ollas y sartenes y después envuelto para llevar, se transportaba y servía en una hoja fresca de la siempre accesible jungla. Jonah explicó que esta era la manera en que las personas llevaban su almuerzo del día cuando iban a trabajar en el campo. 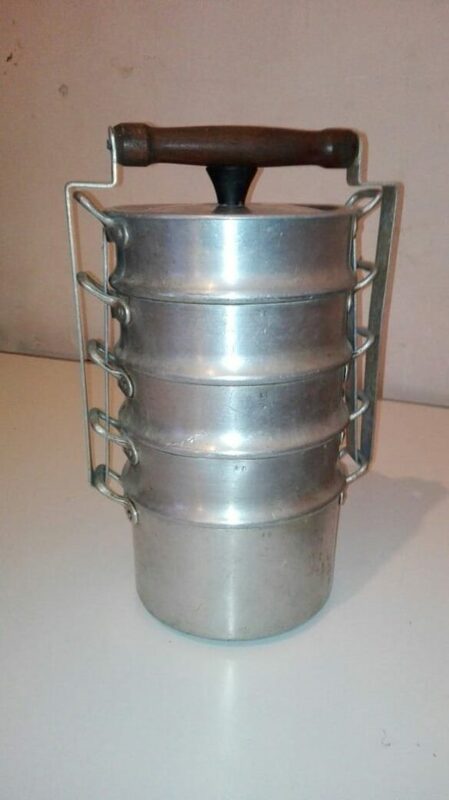 Eran tiempos más sencillos, pero la verdad es que no fue hace mucho. Él se sonrió y siguió hablando de las tradiciones de las fiestas de cumpleaños en donde era una costumbre recibir una bolsita de papel llena de golosinas y todos bebían de vasos de cartón que estaban sellados con cera. El explico que casi todo se desechaba en hoyos que se excavaban en el patio, ya que era cosas naturales que se descomponen fácilmente y eran saludables para la tierra. Entre más hablamos, era más y más claro para los dos: reduciendo, reusando , y reciclando no es nada nuevo para Bocas. Era la vieja escuela. Era la única escuela. “Es hora de poner a Bocas de vuelta a lo básico,” dijo Jonah, con un brillo calmado y tranquilo en su mirada. Las personas de Bocas del Toro siempre han vivido alrededor de una belleza natural encantadora. Tienen una conexión inerte con la naturaleza. Los anteriores generaciones recuerdan un tiempo en que las conveniencias modernas que ahora están plagando nuestras tierras y océanos no existían. Y ellos ciertamente no pensaron que iban a llegar a verlo en la vida isleña. 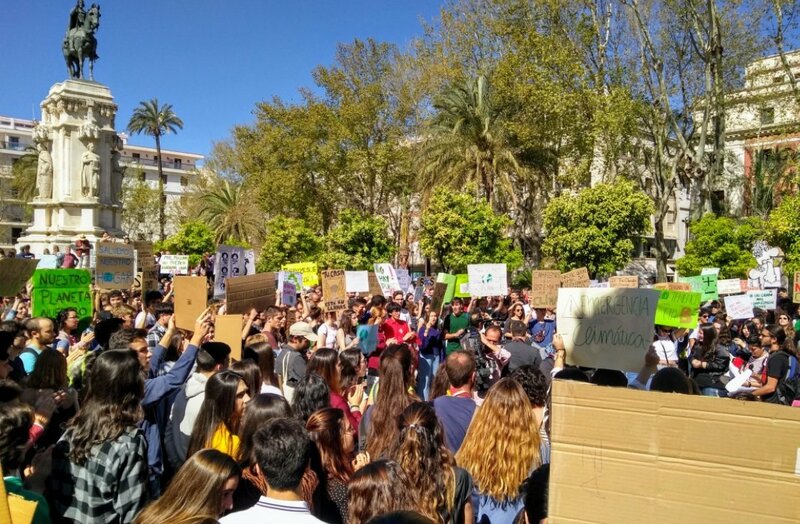 Ahora que las islas han vivido las consecuencias negativas de la conveniencia de los plásticos y personas como el Sr. Jonah y muchos más (esperemos que sea la generación más joven) están inspirados en organizarse y llevar la vida isleña de vuelta al estilo moderno en sus comienzos naturales. En Bocas del Toro, si podemos ver que algunos de nosotros estamos en nuestras pequeñas islas y podemos mirar hacia atrás y dar grandes pasos hacia adelante. Haz que suceda de tu propia manera. Juntos podemos poner a Bocas de vuelta a lo básico.